Available in two sizes, with floor to floor heights of 2.17 to 2.61m and 2.43 to 2.88m, each model can be adjusted to three different heights for optimum usability. The Loftmaster closes to a compact size and fits into the smallest of spaces, with the minimum hatch size for each model of 510 x 600 cm, with an overhang (distance behind the joist) of only 235mm. Loftmaster has smooth anodised stiles that not only resist wear and corrosion, but also keep hands clean, making it ideal for use in the home. Whilst rubber feet are included for safety and protection of the floor. 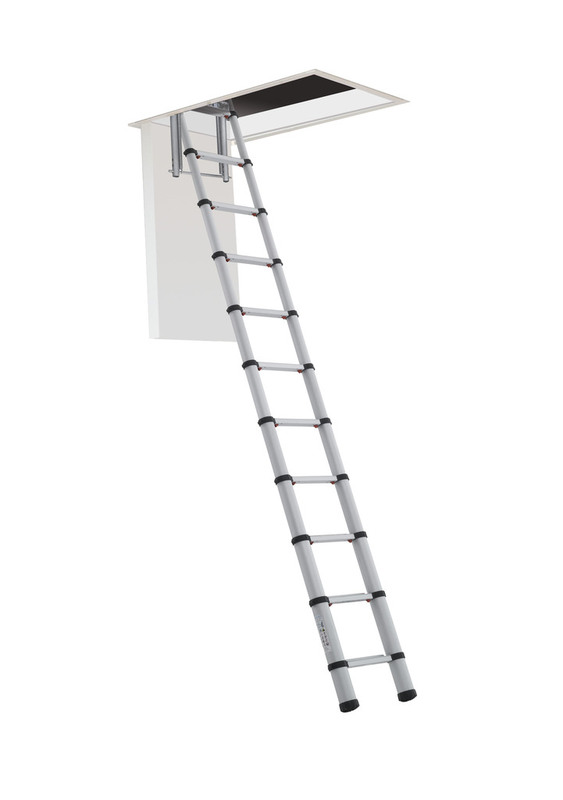 Operation is incredibly easy thanks to the tried and tested telescopic design (used in the Zarges lean-to Telemaster ladder). A handy pole is supplied which can be used to lower and close the unit, whilst red safety buttons indicate when each rung is locked and ready to climb. Zarges Loftmaster comes with a one year guarantee and is manufactured to EN 14975. For more information visit www.zarges.com/uk or call 01908 641118.